Popular bags provide an attractive way to package your products. Strong, transparent bags feature a chipboard reinforced die-cut handle for easy carrying. 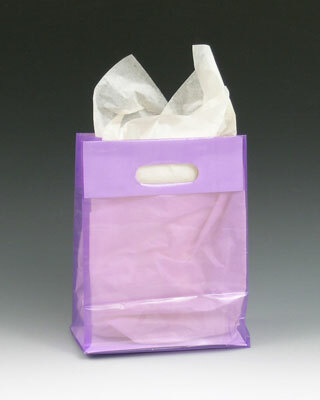 Gussets allow bags to stand even when unfilled. Chipboard bottom provides extra support.